Tracing the development of two of Mercury’s hottest engines. Not all that long ago, a 300-hp outboard engine was considered “big,” and the same thing could be said for a 38-foot-long performance-oriented center-console powerboat. 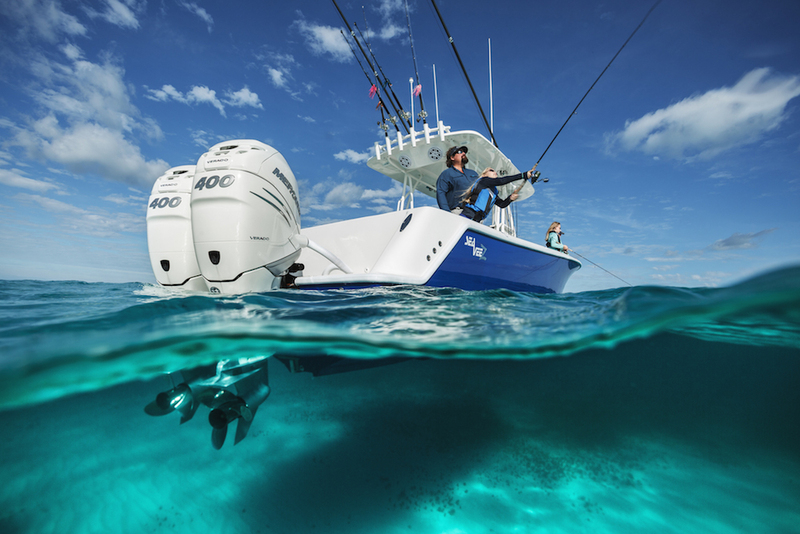 But with center-consoles growing—models in the 50-foot range are coming from the likes of Nor-Tech and Marine Technology, Inc.—the demand for more-powerful outboard engines has grown with them. It really is that simple. 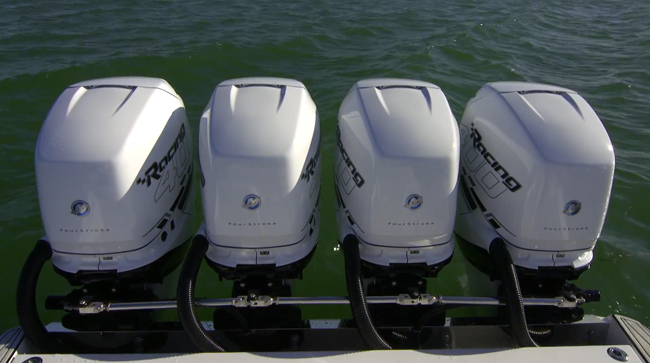 The 400R is the most powerful offering in the Mercury Verado outboard engine line. 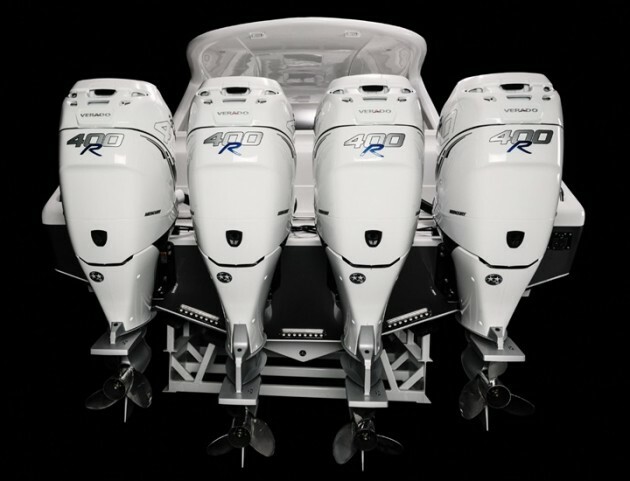 Two such engines, the Mercury Racing Verado 400R and Mercury Marine 350 were introduced at this year's Miami International Boat Show (read Mercury Marine Reveals Verado 350, Mercury Racing Verado 400R at Miami Boat Show), and to say they have been well-received would be an understatement. Right now, the 400R and 350 are the hottest power choices for performance-oriented center-console buyers. In fact they’re so hot that, in the case of the 350, if you order a set now it will take about 12 weeks for the manufacturer building your boat to receive them. 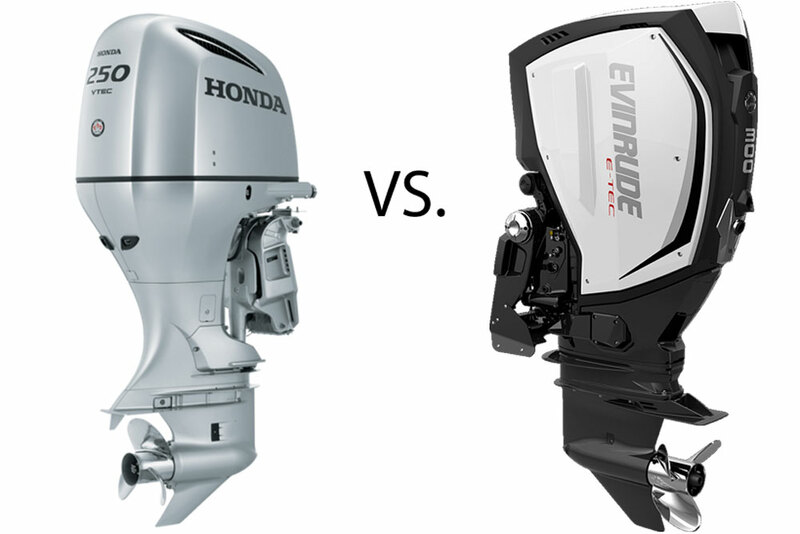 There’s a lot more than 50 horsepower that separates these two outboard offerings. To get a better understanding of the differences between the Verado 400R and 350, we talked to a couple of true insiders. 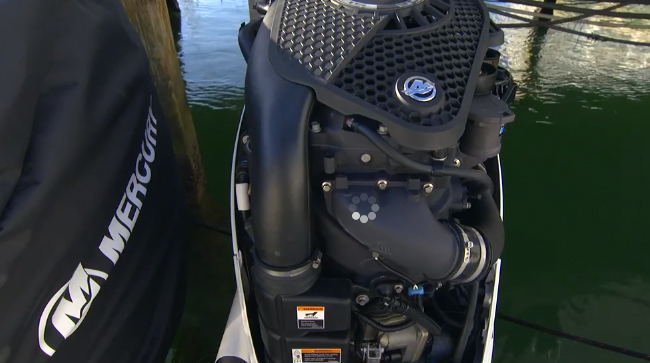 Not since the introduction of the quad overhead cam, turbocharged 1350 stern-drive engine has Mercury Racing hit such a major home run with a new product. Sure, the message boards have buzzed with rumors that “a 400-hp Verado is coming to the Miami Show” for years—not exactly impressive intelligence given that the lead project engineer said such an engine was possible when the supercharged Verado outboard line was introduced in 2004—but its actual arrival in Miami was still impressive. Verado 400R outboards were everywhere on performance center-consoles, including Cigarette Racing Team’s 41’ GTR center-console, which boasted a trio white 400-hp models on its transom. So great was the reception that the Fond Du Lac, Wis., company had to ramp up production. Prior to the introduction of the 400R in February, the most powerful Verado outboard under the Mercury Racing umbrella was the 350 SCi. That engine has been changed significantly, renamed the Verado 350, and moved to the Mercury Marine portfolio (more on that below). But the 350 SCi played a role in the development and final version of its 400-hp relative, which has a maximum operating speed of 7,000 rpm. “There were a number of changes from the 350 SCi to the 400R,” said Christiansen. “There were cylinder head changes and piston changes. The supercharger was changed—the superchargers for the 400 and 350 are now water-jacketed. There were a number of internal and external changes. The air induction system was changed, and there was a camshaft change as well. The Verado 400R comes with a two-year warranty that can be extended to five years. 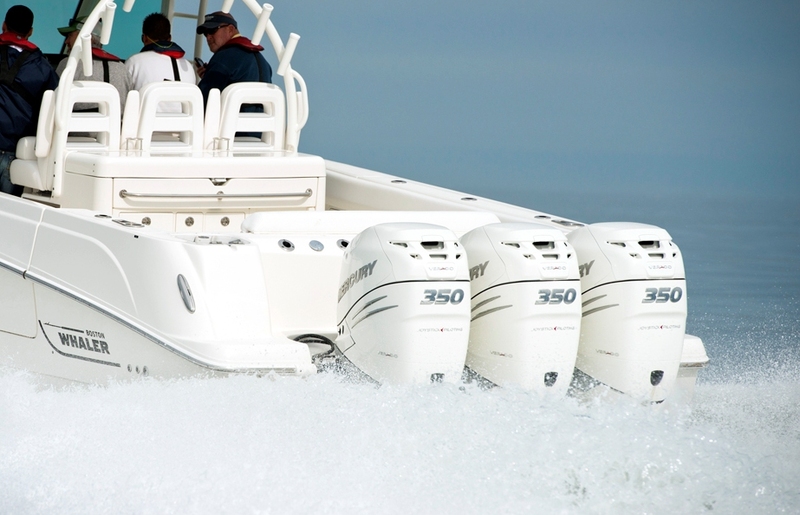 Larry Teeling, product manager for the Verado 350 reborn this year at Mercury Marine, shares Christiansen’s view of the importance of shared research and development between the two companies. 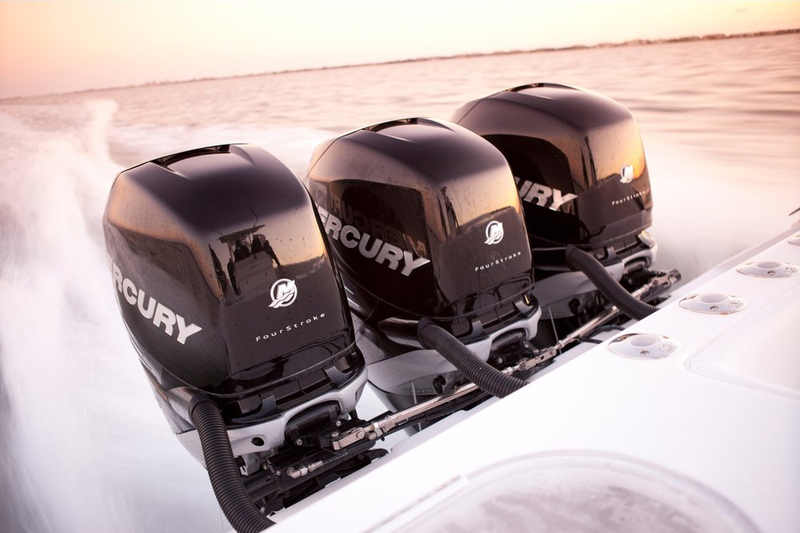 (Though it operates independently for the most part, Mercury Racing does fall under the Mercury Marine umbrella.) 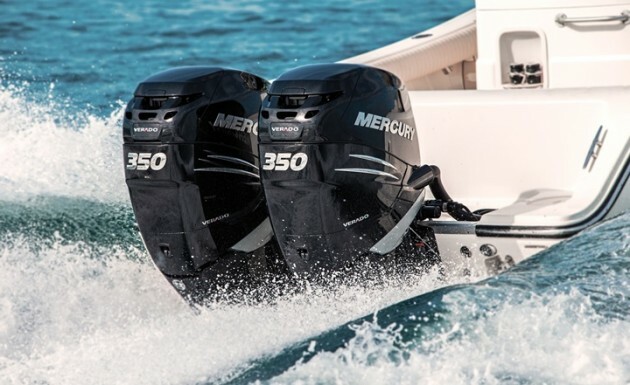 Much of what brought the 350-hp outboard to its current form was learned while it was dubbed the 350 SCi and a Mercury Racing product. However, the changes to the platform involved more than dropping the “SCi” designation. 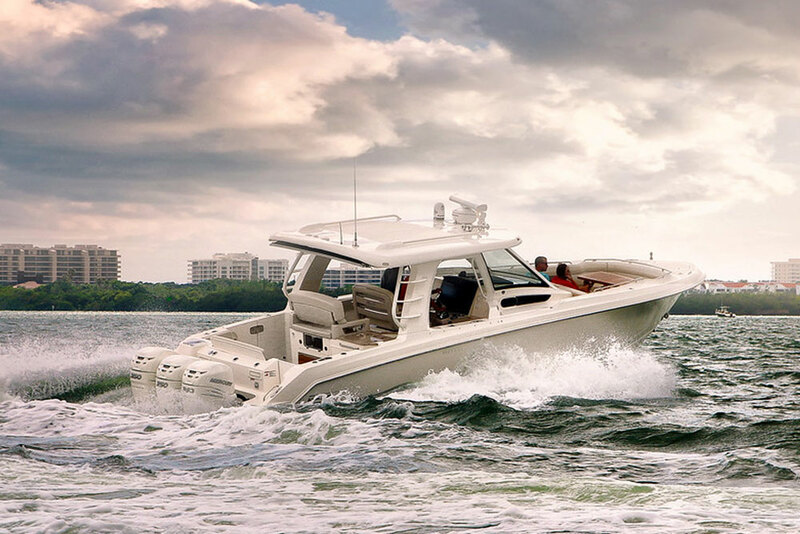 Mercury re-engineered the Verado 350 for a more mainstream center-console buying audience. “The development program was about going back go the 300 Verado and developing a 350-hp version of that,” said Teeling. “There was a lot of learning that occurred during the five years the 350 SCi was in the marketplace. We wanted a more 'mainstream’ platform, and that required different solutions. “The biggest change came through the air-induction system,” he continued. “We moved the air scoop, which was in front, to get good, cold, clean air to the intake manifold. The SCi scoop didn’t necessarily give us the clean air we wanted. We also changed the resonator inlets, the supercharger, and the supercharger inlet duct." According to Teeling, early tests with the modified Verado 350, which has a maximum operating speed of 6,400 rpm, saw the engine producing 400 hp, so Mercury Marine’s engineers saw they were on the right track. Much of the progress came through computer modeling before the engines ever hit the dynamometer. “We have done analysis work that’s allowed us to look at the actual path of the airflow, and track it from the resonator to the throttle body and into the supercharger. That’s allowed us to capture more horsepower just by changing the angle of the inlet. We looked at the temperatures between the intake and the exhaust ports. And we were able to make a more durable cylinder head. The Verado 350 comes with a three-year warranty that can extended to seven years. For more information, visit Mercury Racing and Mercury Marine.